I’ve been banging on about Playgroups and Prosecco, my debut novel, for ages now, so I thought it was only fair that I gave you something back – a thank you for putting up with all my ‘buy it on Kindle for only 99p!’ tweets. In case you’re not up to speed, Playgroups and Prosecco is a ‘laugh out loud debut’ (my words) about the realities of single-parenting a toddler and a teen in a world of Instagram and Tinder. It’s a diary format, easy to read, but also GOOD, even if I do say so myself. If you want a taster, the first week is available to preview through the ‘look inside!’ feature on Amazon. Bit of a no brainer isn’t it? I went and bought a bottle of prosecco and a load of Jaffa Cakes, and I’m going to send the lot to one lucky winner, along with a SPECIAL SECRET ADVANCE copy of Playgroups and Prosecco, which otherwise isn’t available in book form until May 2nd. I’ll even sign it for you too if you like, or not, if you think that might spoil it. To enter, I’m not going to make you do anything naff like buy the book on Kindle or write an Amazon review, (although if you do want to do this it’s only 99p and all reviews gratefully received), I’d just like you to help me spread the word, so that I can sell millions of copies, become a Barbara Cartland style novelist, and retire to the country with my cats. Just do as many of the entry mechanisms in the widget below as you fancy. That’s it. The competition will close at 11.59pm on April 19th, so I have time to send out the book to the winner before anyone else can buy it. Full T&Cs apply. P.S. 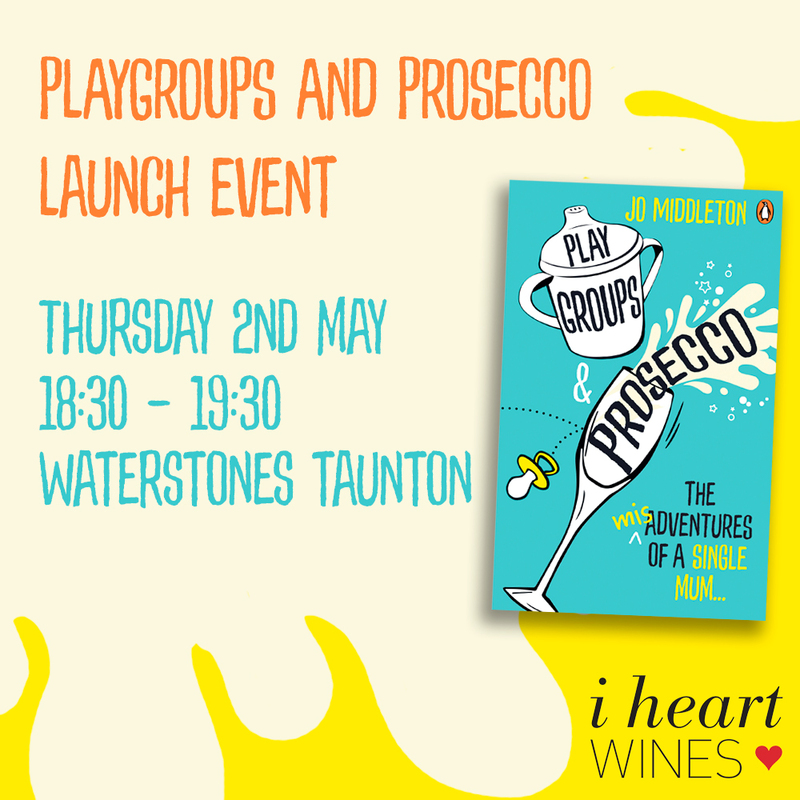 If you’re local to me or are prepared to drive a long way for a free glass of something fizzy then please do come along to my book launch on May 2nd at Waterstones in Taunton. Yaaaay just entered! Can I get a bonus entry for being the featured tweet in this post? Hopefully I’m not excluded because I’m a chap.